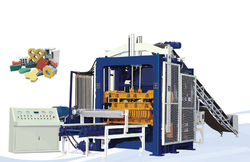 This machine can produce 500 bricks / Hour. production capacity-10000 to 12000 bricks per shift, bricks per strock-10 bricks, 1 conveyor belt free, 1 pan mixure free, 1 year service free, 1 year warantee, free installation, free training to your operator about production quality. Oil Tank Capacity: 400 Ltr. Robust structure, high production capacity. and long service life are some of the features that distinguish our Red Brick Making Machines from others in the market. Manufactured as per international quality management systems, our entire range of machines are reliable, low maintenance and safe. - Interlocking Brick Machine/Compressed Earth Block Machine. 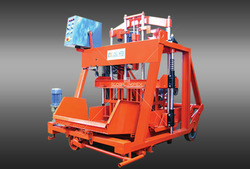 We are involved in manufacturing and supplying of Brick Making Machines. we serve the best quality of products to our buyers.